Blue Rain Gallery represents established artists of diverse backgrounds working in a variety of mediums. The gallery exhibits an inspiring collection of Contemporary, Western Heritage, and Native American Art. The collection is comprised of paintings—glass, bronze, and ceramic sculpture—pottery and jewelry. 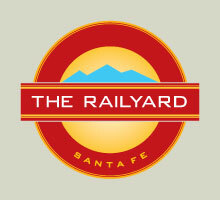 Blue Rain Gallery is located in the Railyard Arts District at 544 South Guadalupe Street, Santa Fe, NM 87501. Phone 505.954.9902. For more information visit the Blue Rain Gallery website, www.blueraingallery.com.